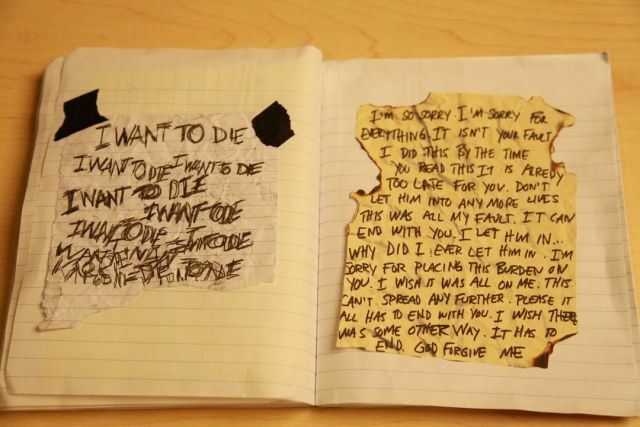 Oh man, the note on the left is infinitely more creepy when you realize it's scribbled with an actual pencil. Smeared graphite on both pages and my finger prove that. Watch for Slender: the Arrival on PS3 and Xbox 360! Follow encaen on Twitter for a chance to win a Slender: the Arrival code for PS3. Also, RUN!